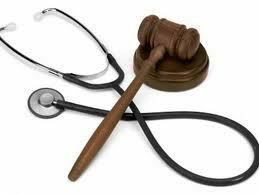 Health Law | Hao Law P.C. Health law is the federal, state, and local law, rules, regulations and other jurisprudence affecting the health care industry and their application to health care patients, providers and payers, and vendors to the health care industry. It is one of the most complicated and fascinating areas of law, this is especially true after the pass of the Healthcare Reform Bill in 2010. We represent the doctors and other healthcare professionals (physician assistants, nurses and clinical technologists) to deal with the complicated legal system and achieve their professional goals. We provide services in the formation or buy/sell of the physician’s Professional Association (PA). The examples include (1) incorporation (2) start up procedures (3)purchase and sale agreements (4) shareholder agreements (5) shareholder and partner disputes (6) property and medical equipment leases and contracts and (7)employee/employer Contracts. We represent physicians and nurses in disciplinary matters and misconduct proceedings before and against The Texas Medical Board and The Texas Board of Nursing. We represent the accused physicians and nurses in a variety of capacities in both disciplinary and post-disciplinary matters. The examples include standard of care allegations, non-therapeutic prescribing, the inadequate maintenance and documentation of records, and sexual boundary violations. We provide services for health care providers and suppliers in evaluation of whether they are covered by Health Insurance Portability and Accountability Act (HIPAA), Genetic Information Nondiscrimination Act (GINA), state privacy and security laws and other federal patient privacy statutes. When covered, we help the clients to develop compliant policies and procedures, contracts and work force training programs. We provide health care providers, especially individual physicians with private practices – with guidance and legislative assistance on evolving patient privacy and security laws and regulations. We also assist clients in evaluating potential HIPAA and GINA breaches and in securing patient information, evaluating whether notice of the breach is required and assisting them in developing mitigation strategies when a violation has occurred. We represent healthcare providers, especially individual physicians in Medicare, Medicaid and private insurance provider’s reimbursement disputes. Life sciences and pharmaceuticals laws are in the intersection of our IP law and health law practices. We assist life science companies in complicated healthcare regulatory matters and get necessary certificates or licenses from the U.S. Government agencies such as FDA. We provide services in corporate and commercial transactions, including mergers and acquisitions, strategic partnerships, venture capital and public financings, and licensing partnerships. We also advise investment and financing firms regarding life science investing. The examples include, but not limited to (1) structuring and negotiating agreements (2) corporate transactions (3) Medicare and Medicaid reimbursement, compliance and investigations (4) healthcare technology (5) medical device manufacturing (6) pharmaceutical regulation and compliance (6) HIPAA, GINA and other privacy issues (7) Clinical Laboratory Improvement Amendments (CLIA) licensing (8) biologics licensing (9) medical informatics (10) clinical trial compliance (11) IP management. We would like to help the small biotech companies to grow so that they may provide more career development opportunities to the basic scientists.